Sue Ellis is offering both intermediate and advanced camps in Gloucester in July. Hope you all had a great skating season! I will be holding the Ellis Edge Ottawa camps again this year. The camps will be in Gloucester July 7 – 11 for Intermediate (ya, I know I said I wasn’t doing it this year but I had too much fun last year not to! ), and the Advanced camp is July 13 – 17. Please note the link is not accessible on the web page so you must use the above link to pre-register to guarantee your spot. I look forward to seeing you all in July! Sue Ellis is offering an Ottawa Masters camp that is now available for pre-registration. The Ottawa Masters camp is now open for pre-registration. Please note the different location of the camp this year. Carleton University is expanding their internal programming and was not available to us this year so we are going to Gloucester, which is a suburb of Ottawa. See the accommodation link for University of Ottawa accommodations, hotels, and tips on getting cheaper hotels and car rentals. 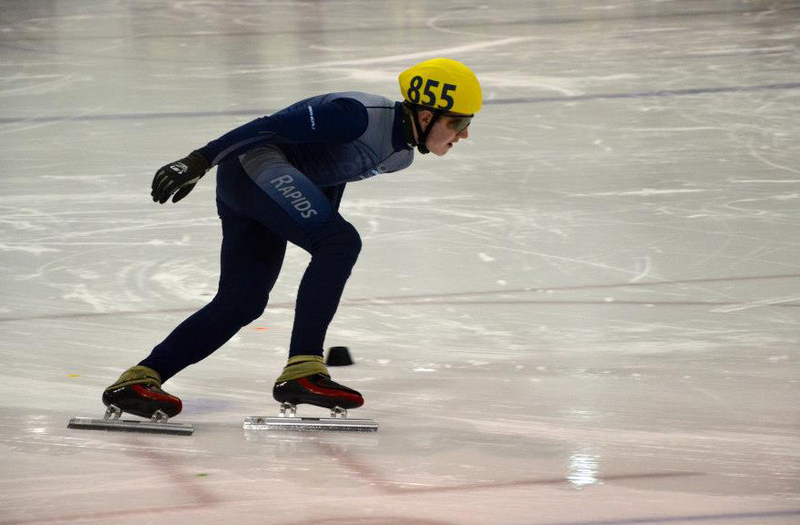 NIck competed at the Canada East Short Track Speed Skating Championships in Halifax at the end of March, competing in the 200, 400, 1500, and 3000 meter distances. He finished 10th overall in his age class, setting personal bests in the 200 and 1500. A story was also posted on the EON news site. Here is a link to the story. The protocol from the meet can be found here.